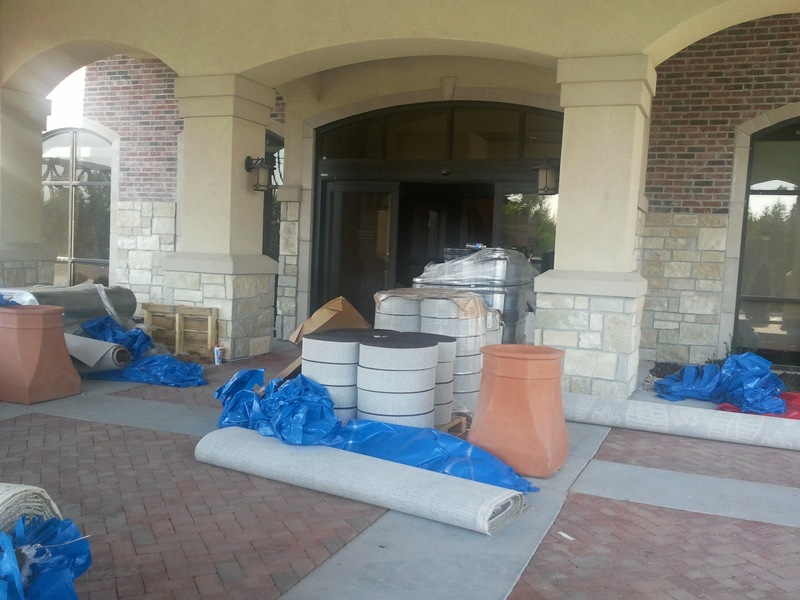 There was still much to be loaded in Wednesday morning at the Idaho Falls Marriott Residence Inn. Begun four years ago but delayed by the financial crisis that fall, the Idaho Falls Marriott Residence Inn on West Broadway is almost ready to open. 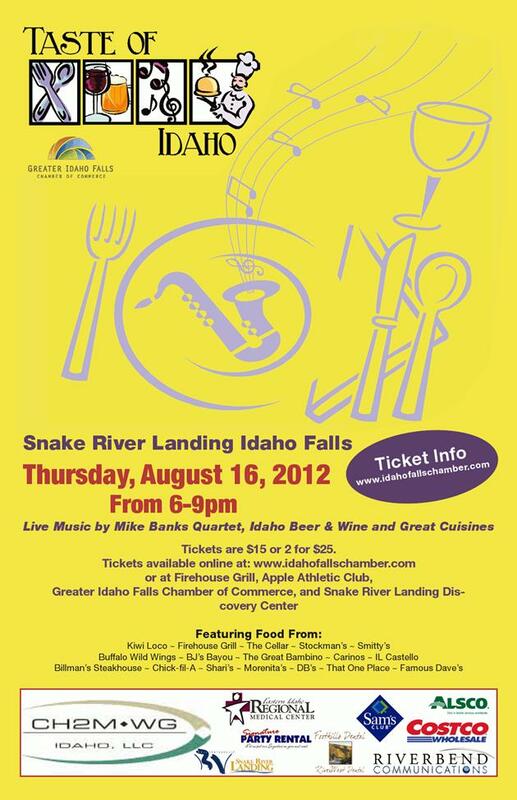 Reservations are being taken for Sept. 4 and after, according to the recording on the hotel's reservation line, (208) 542-0000. Work on the 98,700-square-foot hotel ground to a halt in 2008, when the original developers, McNeil Development, ran into financial trouble in connection with the failure of Arkansas National Bank. Architect John Brunt of Woodbury Corp., the Salt Lake development company that took over the project, said one thing that made it easier for them to restart the project was the fact that McNeil had enclosed the building, which kept out water that might otherwise have gotten in and caused major damage. The hotel has 108 guest rooms, two meeting rooms, a large exercise room and pool. “There’s a lot more common area than a typical Marriott Residence Inn,” Brunt said, earlier this year. Although the exterior is in keeping with the other buildings of the Taylor Crossing development (a style Brunt described as “eclectic classical”), the interior will be more modern and streamlined. 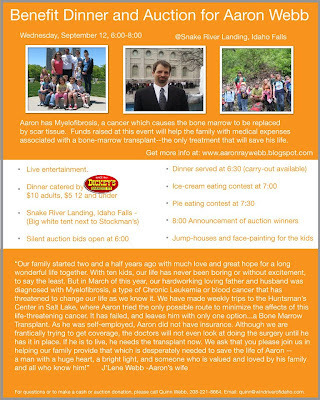 Dickie's BBQ, Snake River Landing have volunteered to help the Aaron Webb family with a fund-raiser to help cover his medical costs. Webb, a self-employed entrepreneur, lacks health insurance but urgently needs a bone-marrow transplant. 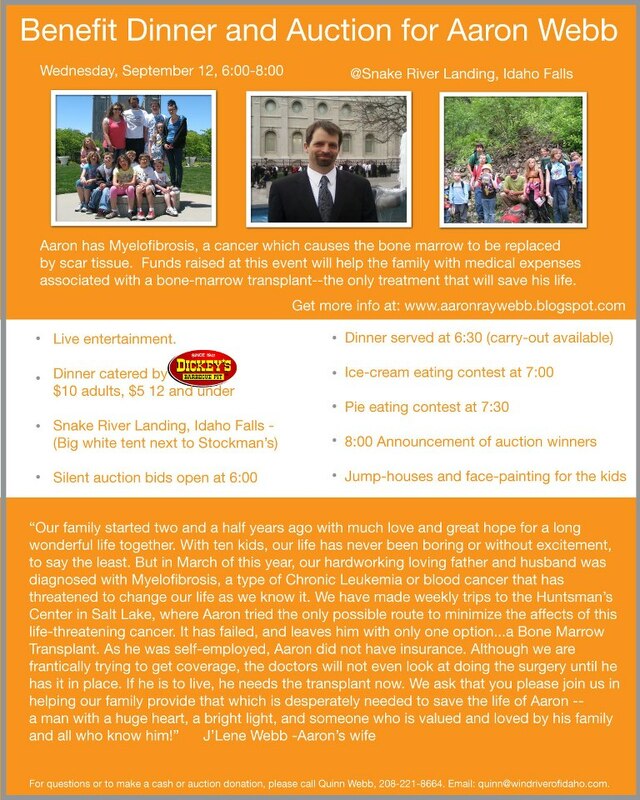 For more information on the plight of him and his family, visit www.aaronraywebb.blogspot.com. 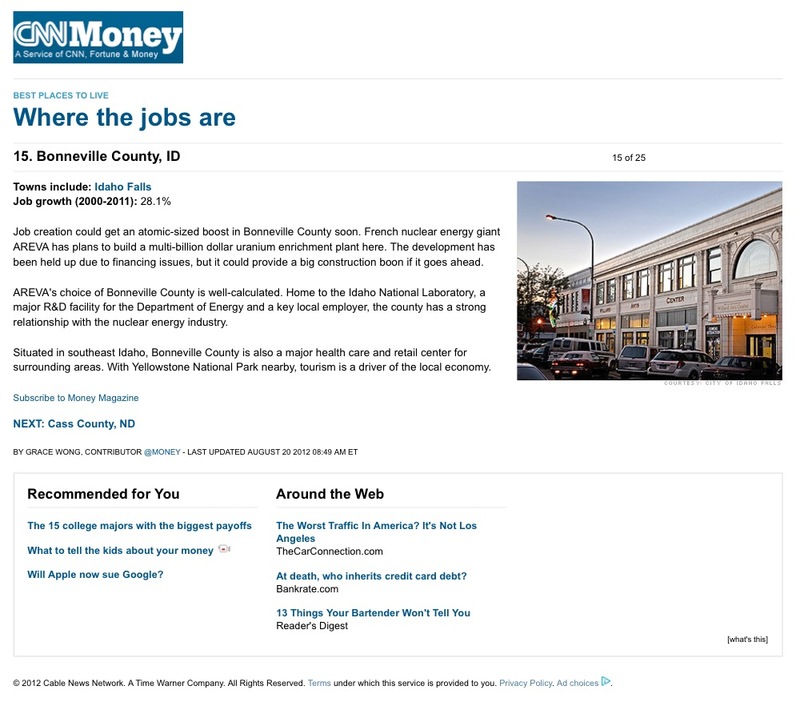 It's been a while since the area made one of the "Best Places to Live" lists, but here's Bonneville County ranking No. 15 in a national "Where the Jobs Are" rundown, between Houston County, Georgia and Cass County, North Dakota. 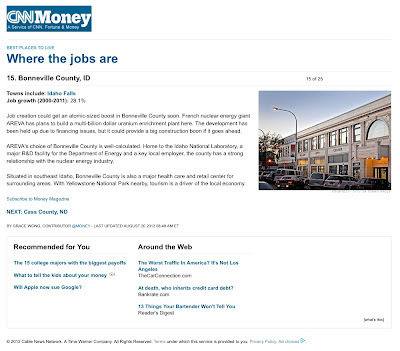 The article cites nuclear energy, medicine, tourism and retail as the top economic drivers. Cives Steel Co.'s One Lincoln Street project in Boston. The Georgia-based fabricator is hoping to have permits in place by this fall to build a 54,000-square-foot plant near Ucon, its first west of the Mississippi. This scoop came first from our friends at http://idahofallsprojects.wordpress.com, who posted it last Thursday after looking through permit applications in the Bonneville County Planning and Zoning office. A Georgia-based steel company called Cives Steel Co., intends to build a new fabrication plant in the Idaho Falls area. A 54,000-square-foot building will house its fabrication area and offices, and there will also be five more outbuildings, just under 5,000 square feet between them. The project will be completed in three stages. It is estimated that the project could add up to 175 new local jobs. Cives Steel says it will be the company's first plant west of the Mississippi. Cives Vice President John Donovan told Marissa Bodnar of Local News 8 that after nearly three years of scouting out locations in the Northwest and Southwest, they settled on Idaho Falls, largely because of the local work force and its reputation. Cives Steel Company created the steel that supports the Hearst building in New York City and the Boston Red Sox training field in Fort Myers. 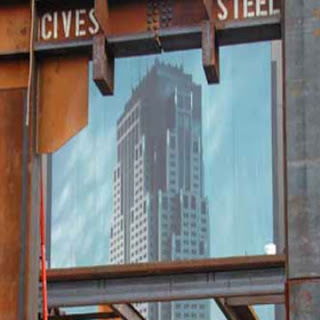 For a look at all the projects they have been involved in, follow this link: http://www.civessteel.com/portfolio. Donovan said told Bodnar the new plant will most likely go up on Yellowstone Highway near the Ucon city limit. Initially he said they expect to hire about 75 people. He said Cives is hoping to have land and permit approvals by mid-September and the foundation poured by mid-October. If the weather cooperates, they could be producing steel by the first of the year, he said. 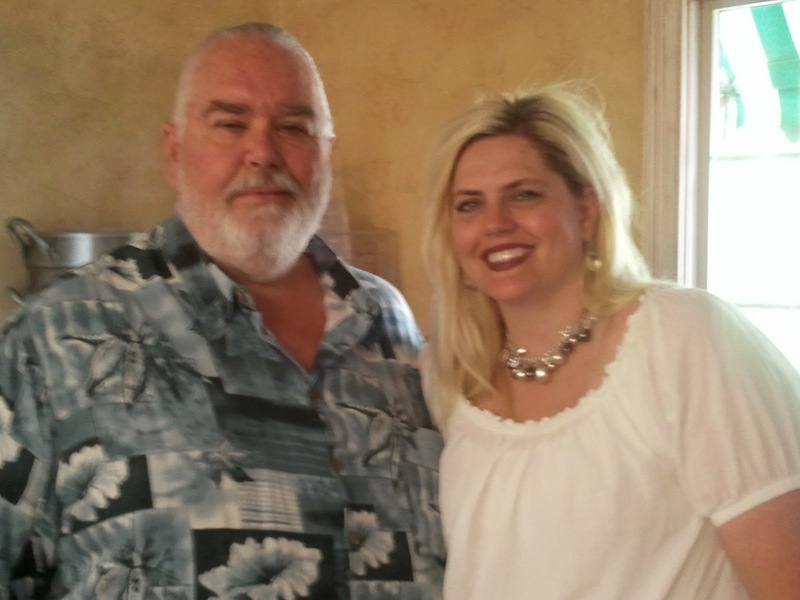 Tom Carey and Donna Nims have joined SpeedConnect LLC, a new high-speed wireless Internet service provider with regional headquarters in Idaho Falls. Carey is technical operations manager for the state. His background includes extended tenures at DigitalBridge Communications and Teton Wireless, where he led teams to construct more than 65 WiMAX transmission sites in 15 markets, as well as developing standardized processes for site selection and construction. He is heading up SpeedConnect's efforts in Idaho for mission critical network operations, centralized warehouse systems, and technician recruitment, training and management, in addition to new technology deployments and network expansion. 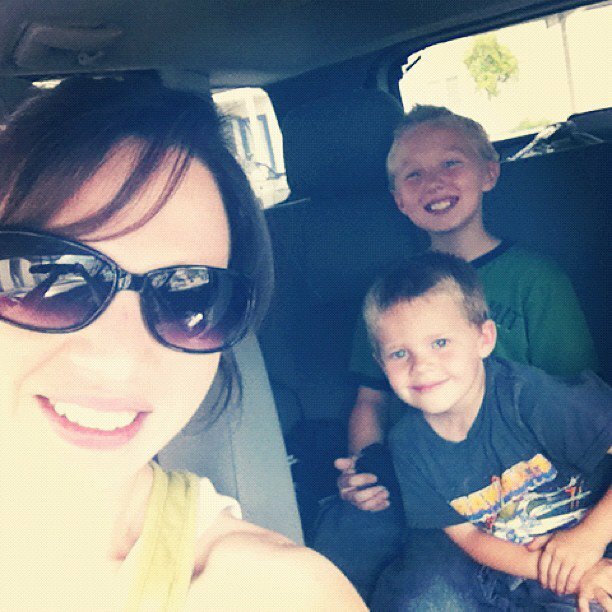 Nims is the general manager for Idaho. She has years of experience in the wireless broadband industry, beginning with the launch of Wavepath in the San Francisco Bay Area in the late 1990s. She has also worked in sales, marketing, product management and web technologies, with a special focus on channel development at Concentric Network and DigitalBridge Communications. 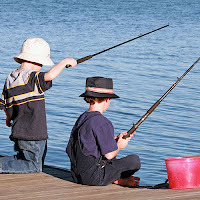 SpeedConnect has been in the high-speed wireless Internet business since 2001, providing services in Iowa, Michigan, Montana, Nebraska and South Dakota. The employment news for Idaho from July was about the best in the nation -- only Idaho and Rhode Island posted declines in their jobless rates -- and eastern Idaho's numbers were even better. The state's seasonally adjusted unemployment rate dropped another two-tenths of a percentage point, falling to a three-year low of 7.5 percent. 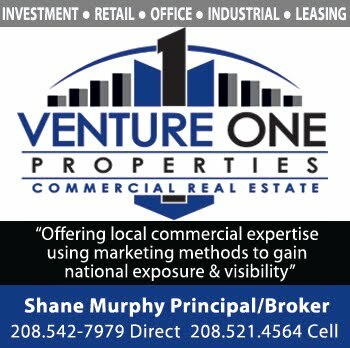 In the Idaho Falls Metropolitan Statistical Area the rate dropped from 6.7 in June to 6.2 percent, down from 7.3 percent in July 2011. Rexburg posted a jobless rate in July of 5.3 percent, down from 6 percent in June and 6.5 percent in July 2011. Idaho’s rate, which has been lower than the national rate since September 2001, has fallen dramatically during the past year from a post-recession high of 8.9 percent in July 2011. Despite employment slipping slightly, there were still over 19,000 more Idahoans at work in July than a year earlier while the number out of work dropped again to 58,600 – 9,700 fewer than in July 2011 and the lowest number of unemployed in three years. New hires were at their highest rate for a July since 2007, although these new hires overwhelmingly filled jobs that had been held by people who retired or left for some other reason. The replacement factor in the jobs picture will increase as more and more baby-boomers decide to take their pensions. The Conference Board, a Washington, D.C. business think tank, estimated fewer than five unemployed workers for every two posted job openings in Idaho, the first time that ratio has been that low since late 2008. At the peak of the recession in late 2009, there were nine unemployed workers for every two posted job openings in the state. Only 10 rural counties recorded double-digit unemployment rates in July, unchanged from June but down from 17 in July 2011. The highest rate was 17.3 percent in resource-dependent Adams County, up over a point from June but over two points lower than in July 2011. Starting Monday, the city of Idaho Falls will begin offering free 24 hour city news alerts, designed to keep citizens informed and up to date. “(This) is just another example where Idaho Falls is leading the way in governmental transparency and accountability," said Mayor Jared Fuhriman. The new subscriber service will allow anyone interested to receive daily city updates and press releases, city calendar events, emergency notifications and weekly newsletters, delivered directly to their e-mail in-box or text-capable devices. 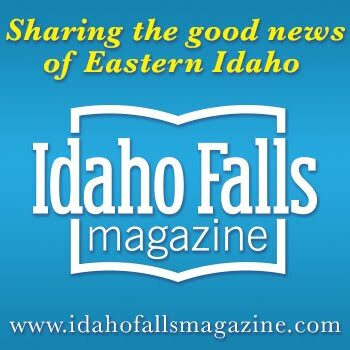 To subscribe, one needs only to forward their phone number (for texts) or e-mail (for e-mail alerts) or both to the Idaho Falls Public Information Office. They can be reached by calling 208-612-8122 or by e-mail at bhuerta@idahofallsidaho.gov. 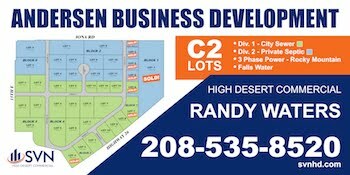 In case you missed me Monday night on Local News 8 doing my best impression of an informed observer of local business development, here's a link: http://www.localnews8.com/news/Idaho-Falls-Ammon-see-upswing-in-retail-development/-/308662/16099336/-/agoffh/-/index.html. It is worth noting that after this aired on the 10 o'clock news, my number of pageviews on Tuesday was more than double its previous high. 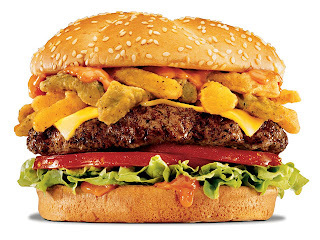 Even though I'm an old print dog, I've learned to be "platform agnostic." 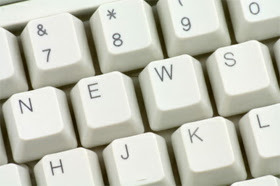 I'm willing to take a story to print, web, radio or TV. It's pretty obvious that TV packs a lot of clout. Thanks to Marissa Bodnar, who called me about doing an interview. Considering the number of eyeballs that little segment brought to this blog, let me quote the Marvelettes' "Beechwood 4-5789" and say, "You can call me up and have a date any old time." A Taste of Idaho is Thursday evening, and I'd encourage anyone who likes food, sunshine and music to head down to Snake River Landing between 6 and 9 to experience the magic. I'm posting the poster, however, because I noticed Costco Wholesale among the sponsors' logos at the bottom. You may read into this whatever you choose. If there is any news, I expect it to break next week while I am on the East Coast visiting my mother. This is what happened with Olive Garden. I got a call on my cell phone about it while I was on the ski lift at Grand Targhee during spring break. The Idaho Business Review (to which I occasionally contribute) is seeking nominees for its Woman of the Year award. Nominations are open through Dec. 1, with a banquet to follow in February 2013. This will be the second year for the award, which seeks to honor women from the public, private, and charitable business sectors, focusing on both the accomplishments and struggles that have contributed to their unique experiences. Highlighting work ethics, innovation and balance, the IBR honors 50 of the nominees at an awards dinner, which will be held Feb. 26 at the Riverside Hotel in Boise. The winner's name will be announced at the event. All honorees will be profiled in a special magazine, which will be available to subscribers and people attending the banquet. Plenty of people would say you can never have too much chocolate, which is something Mike Swendsen understands. 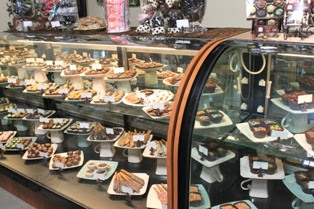 Swendsen and his daughter, Liz Yasaitis, who own Sarah's Candy Cottage in Idaho Falls, are opening a new store, Saroli Chocolat, in Boise later this month. "It's a capacity issue," he said. "We make more chocolate here than we can sell. When you consider that the population base here is 80,000 and the population base in the Boise area is over 800,000, it makes sense to expand there." Saroli Chocolat will be at 755 W. Broad Street, in the BoDo District, across the street from the Edwards Downtown Stadium 9. The property is being remodeled in the style of the Woodruff Avenue store in Idaho Falls. It is about 800 square feet, compared to 1,500 in Idaho Falls. "We didn't need any manufacturing space there, so a smaller space would do," Swendsen said. The chocolate used at Sarah's comes in slabs from Belgium. While Boise has a few good chocolate stores, Swendsen said their artisanal approach should set them apart. "This is more like something you would find in Belgium," he said. In addition to chocolate, Sarah's offers more varieties of licorice that most people can imagine, a huge selection of what used to be called "penny candy," and Gelatto. Since Sarah's began in 1998, its policy has been to give each customer a free truffle or piece of fudge. This will be the same at Saroli. "We want people to have a good experience when they come in," Swendsen said. Earlier this summer we wrote about NanoSteel, a company with its roots in the Idaho National Laboratory and its research and development office in Idaho Falls. NanoSteel has developed an alloy that can be used in the fabrication of lightweight steel, critical to automakers in achieving higher fuel efficiencies and meeting rigorous new U.S. Corporate Average Fuel Economy standards. 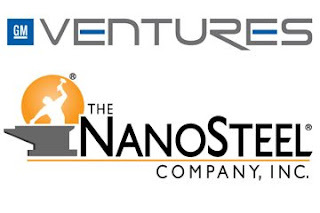 This week, General Motors Ventures LLC announced it has invested in NanoSteel. The company joined lead shareholders EnerTech Capital and Fairhaven Capital Partners and five existing investors to complete the Series C financing round. Terms of the GM Ventures investment were not disclosed. "Over the next several years, light-weighting of vehicles will be a major focus area to improve fuel economy," said Jon Lauckner, GM's chief technology officer, vice president of Global R&D and president of GM Ventures. "NanoSteel's nano-structured alloys offer unique material characteristics that are not available today, making them a potential game-changer." Through the development of patented alloys, NanoSteel has created a new class of steel that allows automotive engineers and designers to reduce weight through the use of thinner, higher strength gauges while maintaining the structural integrity needed for safety. NanoSteel's new steel design is an alternative to other light-weighting materials which may cost more, require new investment in parts production and have performance limitations. "GM Ventures investment in NanoSteel demonstrates its confidence in our company's potential to achieve widespread impact on the auto industry through our proprietary steel designs," said Dave Paratore, president and CEO of NanoSteel. The grand opening of The Celt, 398 Broadway (at the corner of Park Avenue and Broadway) has been set for Aug. 24-25, featuring the Irish rock band Swagger from Park City, Utah. There will be food, wine, cocktails and 24 beers on tap. The door open at 8 p.m. While we may be in the summer doldrums, here are a few retail developments worth reporting, picked up during a recent visit to the Ammon City office. Select Comfort has applied for a building permit to locate a new store in the 1,500 square feet on Hitt Road formerly occupied by Diamond Gallery (in the building that also houses Rumbi Grill and Red Wing Shoes.) The company's signature product is the Sleep Number bed, an adjustable air mattress that features a "sleep number" setting that adjusts the firmness of the mattress. Going up to 100, the higher the number the firmer the mattress. Each side of full size and larger beds has its own chamber to allow for separate adjustment. 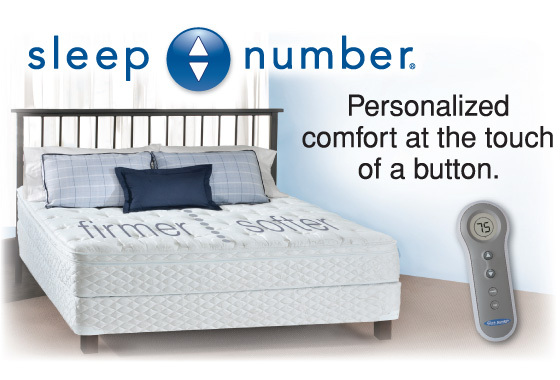 There are different models of Sleep Number beds with various features, and Select Comfort has introduced a memory foam version of the Sleep Number mattress as well. 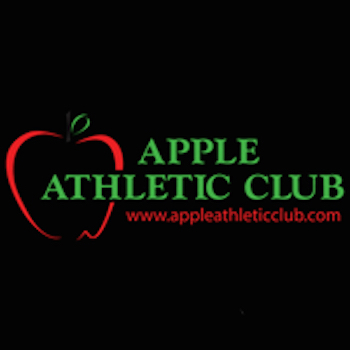 Also in that building, Complete Nutrition is applying for a permit to remodel 1,477 square feet. A nutritional supplement franchiser, the company started in 2004. Stores employ personal trainers, strength coaches and other fitness professionals to help customers develop personalized programs. 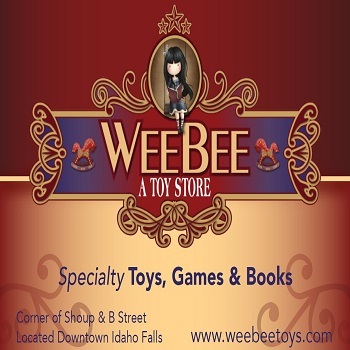 There is one other store in Idaho, in Twin Falls, and there are several in Montana and Utah. The containers being used for curbside recycling. Western Recycling began making its first curbside pickups in Idaho Falls this morning, a program the Boise-based company announced earlier this summer. For $5 a month ($10 for businesses), Western will supply you with your own plastic trash basket in which you can put all the recyclable paper, plastic, tin and aluminum cans you want. There is no sorting on a customer's part. Everything is baled up and taken to a sorter. General Manager Rick Gillihan said they have signed up about 1,200 households since they announced they would be launching the program. They hope to eventually have 5,000 or more homes participating. Although Western has participated with other contractors and municipalities in Idaho, this is their first attempt at trying it themselves. The company employs six people in Idaho Falls, and all the labor at the moment is being handled by them. "As people sign up, that will change. I anticipate we'll have to hire two drivers," he said. Billing is conducted quarterly. The cost includes a 65- or 95-gallon container (customer's choice). Pickup will be every two weeks on the same days as regular trash pickup. Containers must be placed at least four feet away from other trash containers. 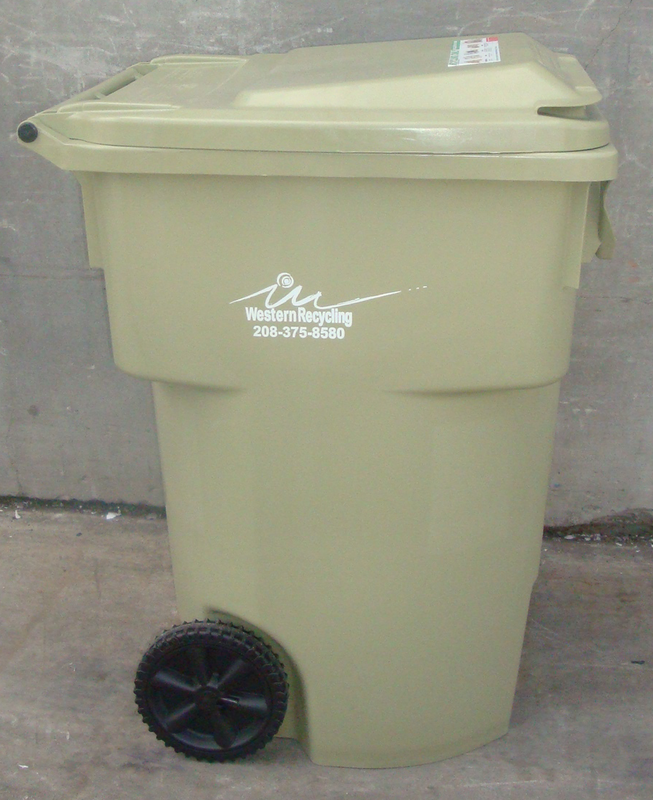 Idaho Falls residents can still drop off their recycling at sites located throughout the city. Western Recycling’s management hopes that if curbside recycling catches on these sites will be phased out, ultimately saving the city money. You can sign up by visiting Western Recycling's Web site, http://www.westernrecycling.net/index.php/curbside-recycling, or by calling 1-888-977-4733. 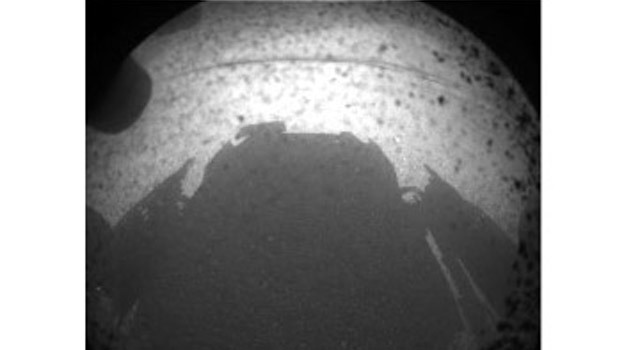 Curiosity's shadow on the surface of Mars, the first image sent back to Earth. The Sunday night landing of Curiosity, the Mars rover, was a huge credit to American scientists and engineers. In case you didn't know, the power and heat source for the car-sized rover was engineered at the Idaho National Laboratory. Think of it: The pictures and videos you are seeing from the surface of Mars are coming to your TVs, computers, smart phones and tablets courtesy of a plutonium-powered generator that was put together in your back yard. If you can't get enough of this stuff, here is the link to Jet Propulsion Laboratory, where you can stay up-to-date: http://www.jpl.nasa.gov/news/news.cfm?release=2012-230. Sandon Wixom shared this picture on Facebook around 2:30 Friday afternoon from his office in the Rogers Building in downtown Idaho Falls. 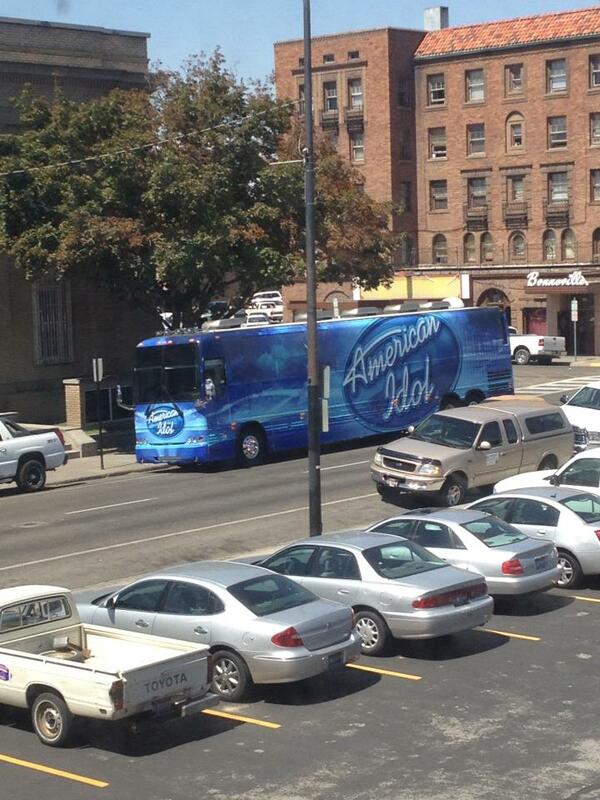 The American Idol bus has arrived in Idaho Falls, with auditions to start Saturday at 9 a.m. at Snake River Landing, on the grass near Stockman's Restaurant. Unlike the auditions in larger cities, there will be no pre-registration, but you will need two forms of ID that show proof of age and a photograph. It has been a very busy week-and-a-half for Kerry McCullough of the Greater Idaho Falls Chamber of Commerce, who has been the AI production team's contact on this end. McCullough said they first contacted her around July 24 and that a lot of her time has been taken up with conference calls, discussing logistics. This is the first stop on a 10-city tour, and the bus is something they have never attempted before. "We're the beta site, pretty much," she said. As of Friday morning, they had lined up five Porta-Potties and six off-duty police officers to handle security. "It's hard to gauge how many we're going to need," she said. "There is so much else going on this weekend." 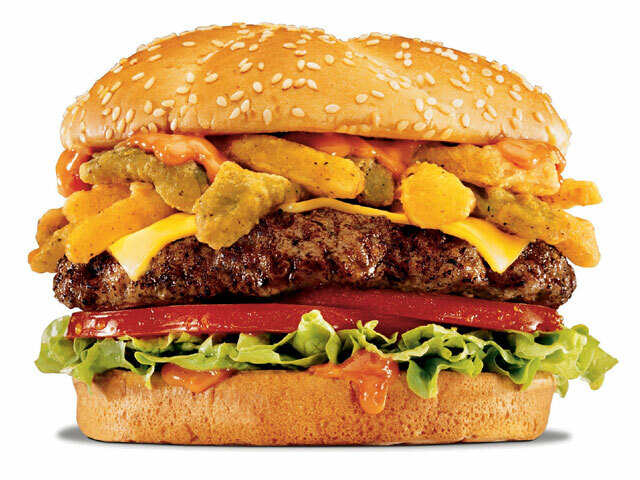 There will be food vendors on site: Gandolfo's, MD Dinky Donuts, Winers, Maui Waui, That One Place and Oasis Vending. 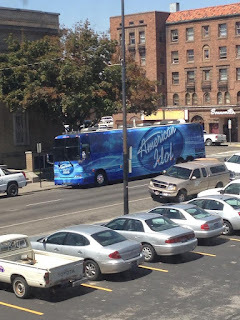 More information is being posted on the American Idol Web site,www.americanidol.com. We'll be swinging by to see what's up, and expect to see plenty of excitement.